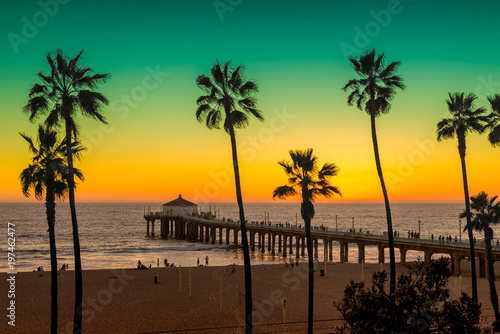 > Fototapeta>Tematy>Plaża>Manhattan Beach with Palm trees and pier at sunset in Los Angeles, California. Vintage processed. Fashion travel and tropical beach concept.